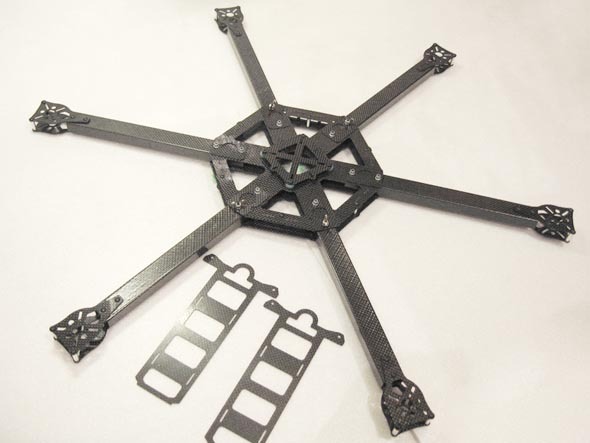 RC-Carbon hexacopter frame. Lightweight, solid and foldable. I will probably buy this one or the Y6 hexacopter frame when I build a more advanced multicopter. There are many different multicopter frames. The most common are quadrocopters, hexacopters and octocopters. I figured that a hexacopter frame would be the best for me, so I can carry a heavy payload, such as a Canon 5d mk2 DSLR. There are mainly two different types of hexacopter. 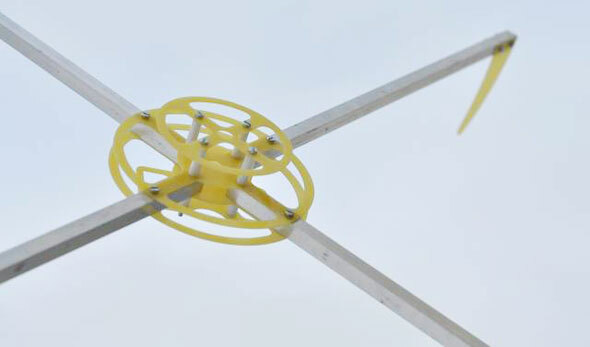 The regular hexacopter with six arms, and a Y-hexacopter with three arms and two motors coaxial mount on each arm. I was planning to buy a carbon fiber hexacopter frame from RC-Carbon. It looks really solid and will probably do the job well. Sergey at RC-Carbon is really friendly and helpful. He answered some questions over mail, and suggested suitable motors etc for this frame. After a while I was beginning to think that this frame maybe was a bit overkill to start with. But when I build a larger multicopter, this is probably the frame I will go for. I was also looking at a smaller frame from Anspe. After a dialog with Anders at Anspe, I was convinced that I should begin with a smaller frame and learn how to maneuver a multicopter. Because every beginner WILL crash while learning, and it would be unnecessary to do that with the more advanced multicopter. This is the Anspe quadrocopter frame that I bought. A perfect frame for beginners. There are some other multicopter frames that I find interesting. Minsoo Kim at MultiCopter Worldwide Shop provides some frames of different sizes. The Micro Multicopter looks like a fun indoor multicopter. The Kinjal Mini frame is available from Multicopterstore. This is my new Y6 ! Looks great for heavy duty multicopters and aerial photography!